German engineering meets Canadian meteorology. Any day you get to drive a Porsche has the capacity to be a very good day. That day can involve the most mundane of activities—for example, moving the car off the street to make way for snow removal equipment—but because you’re moving a Porsche, the act transitions from tiresome chore to momentous event. There’s a fundamental excellence behind every one of the German carmaker’s automobiles that derives from decades of racing and, more pointedly, from developing cars that people are able to drive quickly, easily. This characteristic reveals itself at all times and under all possible driving conditions, including glare ice and drifting snow. 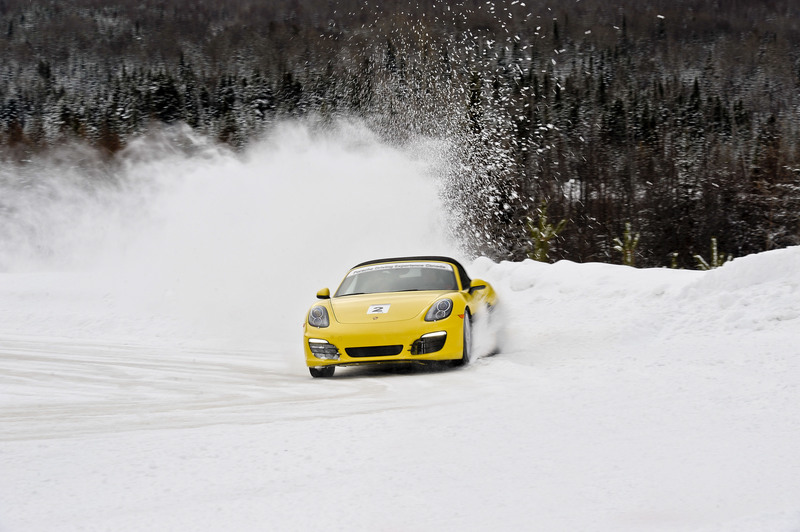 This is the main lesson on offer at Porsche Camp4 Canada, a winter driving experience that takes place at the Mecaglisse training facility located some 90 minutes north of Montreal, Quebec. There are two different programs to choose from—the introductory Camp4 (three days) and advanced Camp4S (four days). Porsche Camp4 Canada is an offshoot of the Porsche Sport Driving School, which has its U.S. base at Barber Motorsports Park in Birmingham, Alabama. A few years ago, yours truly attended a one-day session there and came away impressed with how much students were taught in a relatively short period of time. By the end of the day, people new to track driving were generating real speed. Speed is not the objective of Camp4; instead, it’s all about car control. And the cars we were given to control were the latest from the Porsche fleet—the rear-wheel drive Boxster S and 911 Carrera, and the all-wheel drive 911 Carrera 4S—all fitted with studded tires. Make no mistake, these three cars are hugely fun and, with their respective traction control systems turned off, all of them can make the raw rookie seem like a professional drifter, given time. But the one that tops the list is the Carrera 4S—the brilliantly sorted all-wheel drive system generates traction in the slipperiest circumstances and has the inherent balance to make quick work of fast and slick turns. Of course, there is expert guidance on hand to make sure any speed that is generated is also handled. The Porsche instructors maintain watch at various lookouts around the tracks and call out instructions through walkie-talkies placed in the cars. Over the airwaves, students are encouraged to manage weight transfer and be smooth with the steering, the throttle, and the brake; there’s method here as under the snow the tracks are solid ice. 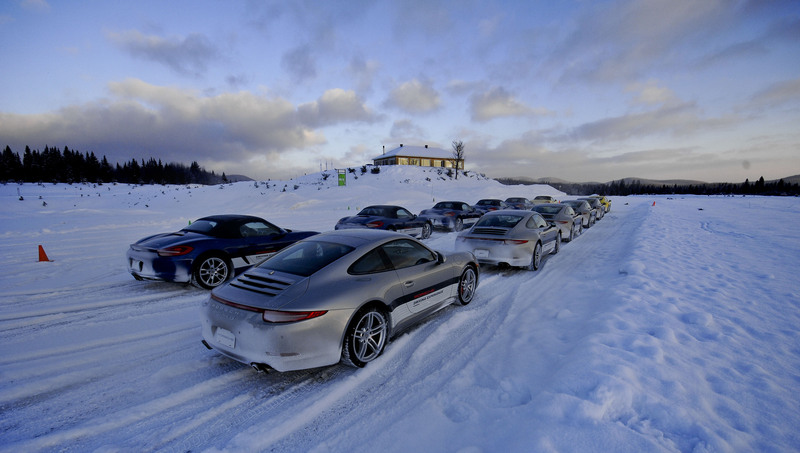 For more information, drift on by the Porsche Camp4 Canada website. But you’d best put the pedal to the metal because space is severely limited.